Is it just an optical illusion, or are Rei and Shinji actually getting closer to one another? Asuka isn't too sure-but one thing you can be sure of is that she'll be giving this perception test a hard stare! And on that note, is Asuka falling victim to the same baka-tivity that afflicts her childhood friend, as she decides to use some of Shinji's "techniques" to help bring Toji and Hikari closer together? * The most famous anime franchise of the last 20 years! 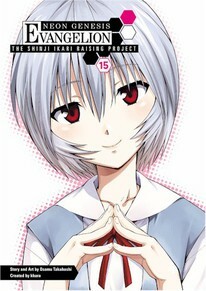 * The most successful Evangelion spinoff manga-now with more volumes then the original!